Hillary Clinton appears in this week’s episode of Broad City, but neither Abbi Jacobson or Ilana Glazer went so far as to endorse Clinton’s candidacy in the episode. After Comedy Central contacted Clinton’s campaign reps, with an added good word in from Broad City’s executive producer Amy Poehler, the script was sent and approved. Clinton herself teased the appearance last December and the stars have been talking about it for months. “Going from finding out she and her campaign wanted to do it, to filming it was really had to believe,” said Glazer at SXSW. There’s no shortage of Clinton cosigns in Hollywood. Lena Dunham is practically Clinton’s running mate, while Shonda Rhimes and her shows’ leading ladies ran a pro-Hillary ad during last week’s broadcasts. Broad City seems to focus more on the idea of geeking out over Clinton’s presence than stamping her as a candidate, which is something Ilana would actually do. Still, the episode doesn’t appear to endorse Clinton as a candidate. 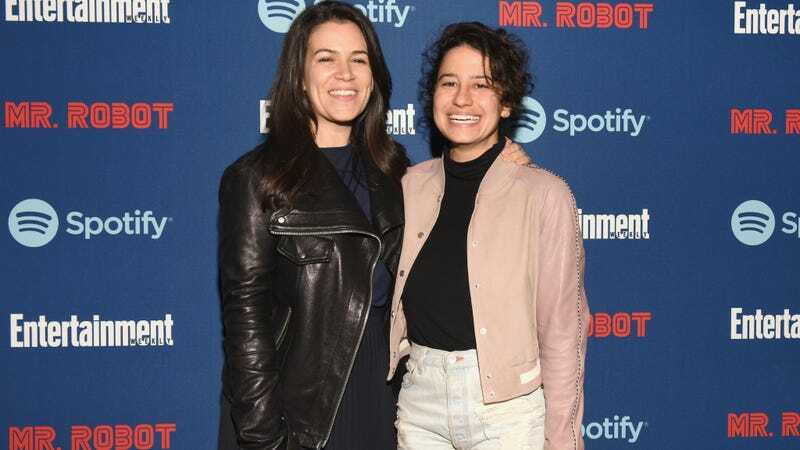 When a SXSW audience member asked why Broad City is supporting Clinton even though their characters seem more like they’d be Bernie Sanders Stans, Jacobson said they’re purposefully not choosing sides on the show.